Someone a few weeks ago showed a picture of doubled up power insulators on Santorini. There, they were just on a single pole. 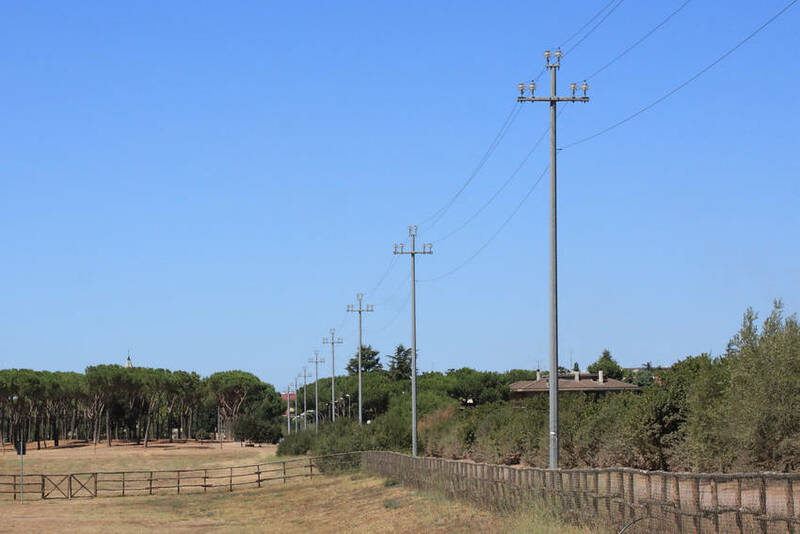 On this line on the outskirts of Rome, and on many others I saw in Italy and (to a lesser degree) Spain, the power company doubled up the insulators on every single pole. Honestly I can't understand the rationale here, unless it's just for sheer redundancy so that if one breaks, then the conductor is still supported.